Last year Washington and Beijing slapped import duties on each other's products that cost the world's two largest economies billions of dollars and disrupted manufacturing and supply chains. The United States is seeking reforms to Chinese practices that it says result in the theft of U.S. intellectual property and the forced transfer of technology from U.S. companies to Chinese firms. "Significant work remains, and the principals, deputy ministers, and delegation members will be in continuous contact to resolve outstanding issues," the office of the U.S. Trade Representative's (USTR) said in a statement. Chinese state media said on Saturday that the two sides had made "new progress" in the talks. 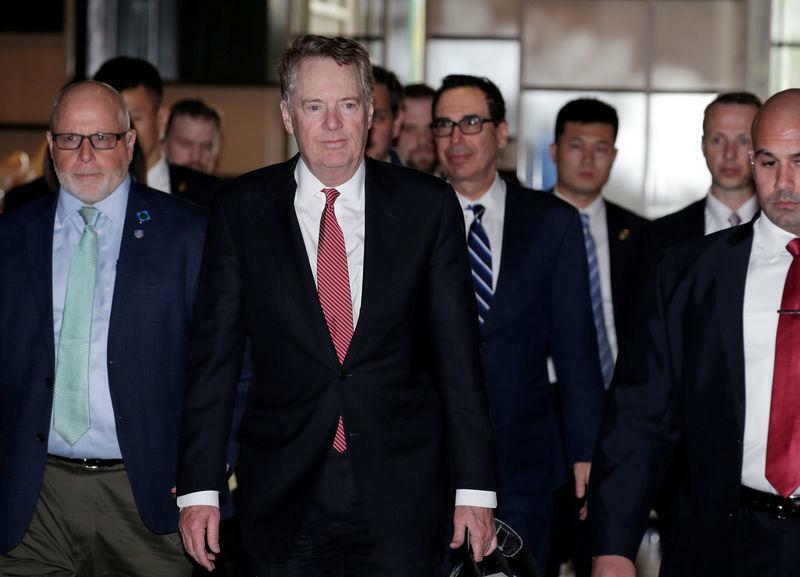 "The fact that they're still talking - and talking positively about the discussions - suggests they both think they're on the path to a resolution," said Erin Ennis, senior vice president of the U.S.-China Business Council, which represents U.S. firms doing business in China.